When I wanted to send Birthday Wishes for my Team leader in my office I coudn’t get proper words from internet. So I thought I would write some for my readers. 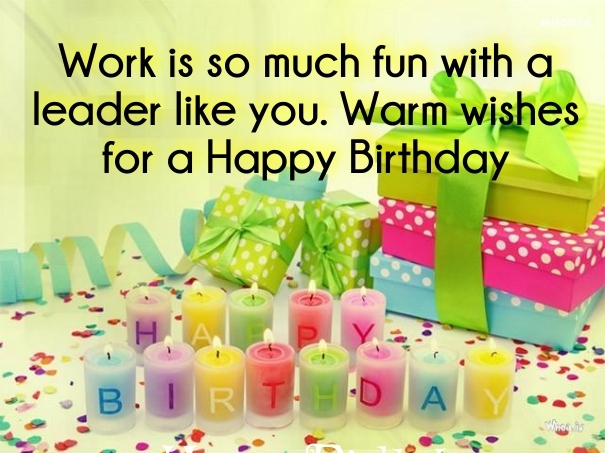 Birthday Wishes For Team Leader can be professional or formal depending upon his nature and mood at the work. If Your TL mean Team Leader is a fun loving and jovial person you can also wish him in a funny and informal way but always remember it should go in a respectable way. That’s why you need to be very careful with your selection of words. May Lord always shower his blessings upon you and you achieve success in every step. Happy Birthday Team Leader! Your presence in office turn the whole environment, you are a person who is gifted with all positive energy, HBday. It’s been a wonderful opportunity for me that I am part of your team and working with you. Have a great birthday dear Team Leader. You are a friend and mentor. It is so nice to work for/with someone as special as you, day in and day out. Have a happy birthday. Happy birthday to the best Team Leader that a person could ever have. What would we all do without you? Happy Birthday! Happy Birthday to a great Team Leader! Wishing you another year of great feats and good times. Cheers! Happy Birthday to the most amazing Team Leader, you spent day with smile on your face which you always have and positive attitude. 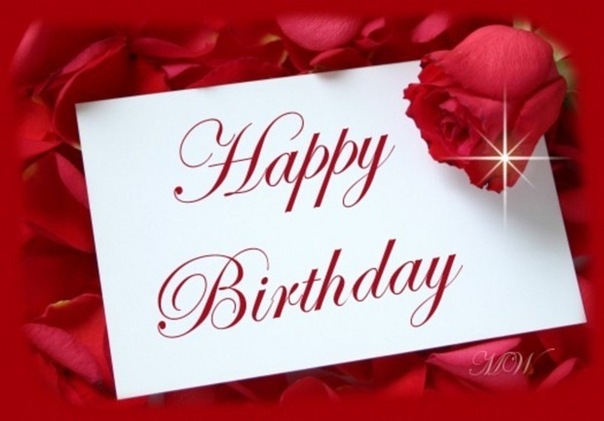 Wish you happy birthday! We your team owe you for everything that you have taught us while working with you. 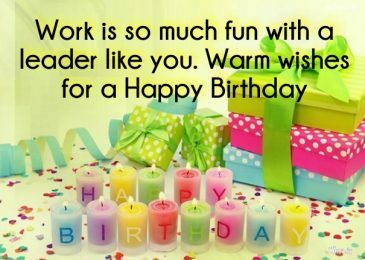 Birthday Wishes for Team Leader Happy Birthday Team Leader, you are a great Team Leader. On your birthday I wish you live a long life. I would have left my career many years back, if I would have not got you as a Team Leader. Thanks for saving my career. My respect 4u gets double, when I see you working so hard and correcting our mistakes without any complain. Happy Birthday Team Leader. Happy Birthday Team Leader, have an amazing and healthy long life, so that we can enjoy your company. Birthday Wishes for Team Leader What is a better gift than receive thanks from subordinates on birthday 4ll support. We thank you and wish you HBD. Making you happy by doing our best is one of the most fantastic rewards we could get. But we won’t possibly do that without your guide and help. So to you we say, thank you and Happy Birthday! I am proud to say that I work for you. You are a good Team Leader and a better friend. We thank you for the help and training that made us all good in our craft. Happy Birthday! We may not say this always but we are glad to be working with you. You’re nice and always gentle to talk to. And for that, we salute you! Happy Birthday to the nicest employer in town. You don’t seem to get old. And we wonder why. Oh, I know the answer… Because you got the nicest and greatest team at work. Right, Team Leader? Happy Birthday! This day calls for a celebration. And we will rock your party even though we don’t have any invitation. We know you and you know us. We’re just hard-headed as you are. Smile Team Leader! Happy birthday! A very special birthday wish to the most special and the coolest Team Leader. You are amazing Team Leader. Accept our birthday wish from our team. Happy Birthday. Birthday Wishes for Team Leader Business is on boom because of your hard work and intelligence. You are amazing Sir. Happy Birthday Team Leader! You can appreciate your Team Leader for his kindness, support and encouraging remarks that make you feel it to be a pleasure for you to work under a hard working and devoted leader who is a best example for you in your life. Happy Birthday Wishes for your Team Leader will boost him with your love for him.